The way they frame it, supporters of the intrusive HHS mandate are simply arguing that it isn’t a boss’ place to tell a woman whether or not she should use birth control. The Obama campaign presented the issue in similarly dishonest fashion back in 2012. Guess what? Conservatives agree. Employers shouldn’t make personal decisions for their employees, nor should they “interfere” with contraceptive choices. According to a Gallup poll released after the birth control mandate controversy boiled over, Republicans are statistically just as likely as Democrats to view birth control as morally acceptable. Nobody is trying to “ban” contraceptives. What conservatives object to is the idea of the State coercing a relatively small number of religious employers to pay for other people’s contraception. There’s a coruscating distinction between trying to outlaw or limit access to a product, and asking not to be forced to violate one’s conscience by directly facilitating the use of that product. The Left is actively seeking to obfuscate that distinction because the public isn’t on their side when the question is presented even reasonably fairly. via The Left’s Contraception Deceit – Guy Benson. 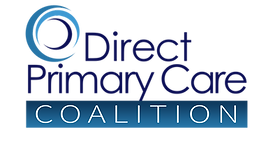 POLICY: Docs See Direct Pay Model Making Progress in D.C.